Lelan Statom's early morning forecast for Tuesday, January 29, 2019. Today, highs will be in the upper 20s to near the freezing mark. The second front arrives tonight. 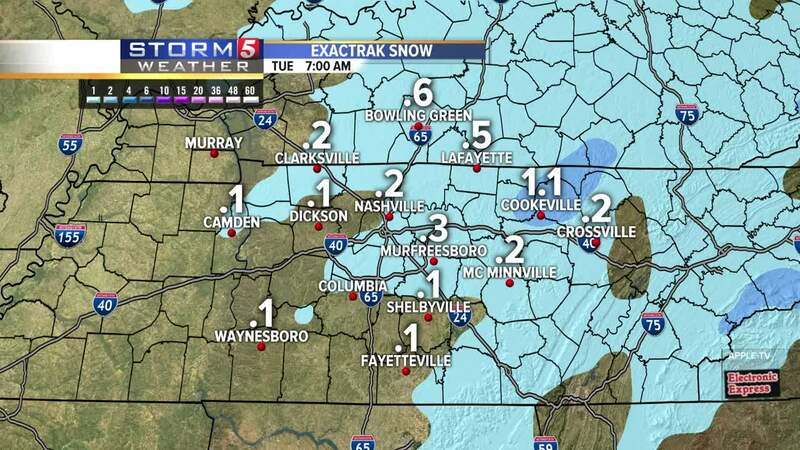 NASHVILLE, Tenn. (WTVF) — The Storm 5 Alert for Tuesday has been canceled as bitterly cold temperatures settle into our area. 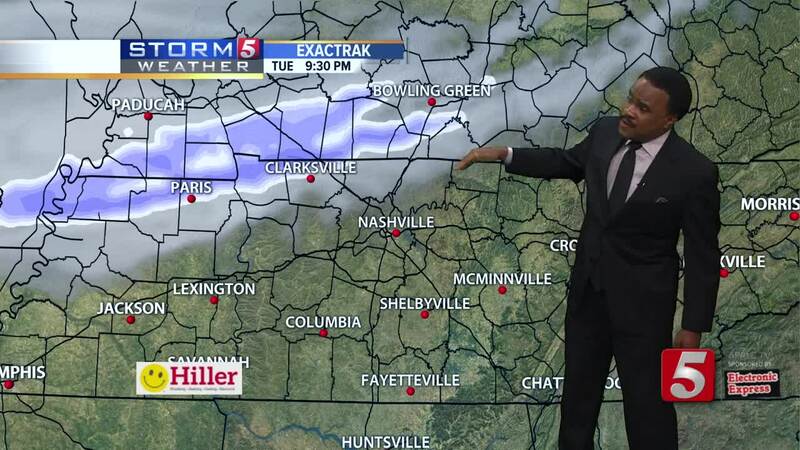 The first of two cold fronts arrived Monday night, bringing a few pockets of winter weather. Today, highs will be in the upper 20s to near the freezing mark. Initially we saw some scattered showers Monday night. Temperatures are expected to remain below freezing for at least three days. Once we drop into the 20s Tuesday morning we aren't expected to get above freezing until Friday afternoon. This will make melting the snow a very slow process, and whatever does melt will likely refreeze into black ice, especially during the overnight hours. As if slick roads weren't challenging enough we'll all have to endure bone chilling temperatures and wind chills also. Wednesday and Thursday morning both look to have lows down in the single digits and teens with wind chills near zero (or lower) along our Northern tier. Check latest weather updates here .